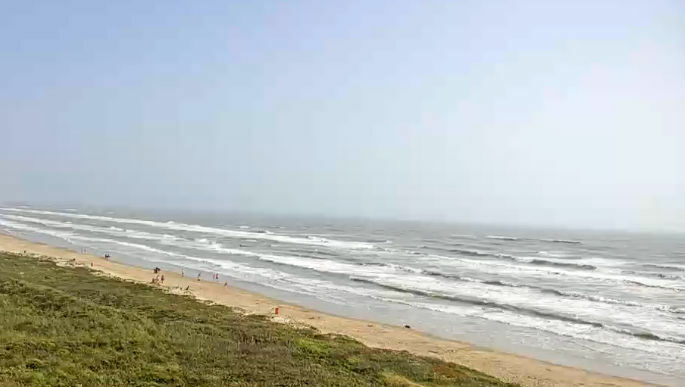 SOUTH PADRE ISLAND — The United States Army Corps of Engineers has begun a maintenance dredge of the Brownsville Ship Channel and is placing sand on a near-shore berm near the city’s beach. The Island’s beach will receive sand from the dredging project. This man-made sandbar will serve as natural nourishment for the Island, as well as storm protection. Over time, the material will move naturally to the beaches. This will lead to shoreline stabilization without the pipes and bulldozers that on-shore placements come with. The Hopper Dredge McFarland has been dispatched to remove the sand from the channel and will be transporting hundreds of thousands of cubic yards from the jetties to the placement area over the next 45 days. The ship is one of four oceangoing hopper dredges owned and operated by the U.S. Army Corps of Engineers and is the only dredge in the world with triple capability for direct pump out, bottom discharge and sidecasting or boom discharge.